NAB’s CEO, Andrew Thorburn, today said that after a period of time focussing on its technology infrastructure the banks is “increasingly focussed on using technology to help our customers”. The bank in the second half of FY16 completed the rollout of its Personal Banking Origination Platform (PBOP), part of the NAB’s largest ever technology transformation program, Thorburn told a full year results briefing. In 2015, NAB completed the migration to its new Deer Park data centre. Some 8000 bankers in more than 800 branches have been trained in the use of PBOP, Thorburn said. NAB began piloting PBOP in early 2015. The platform slashes the time it takes to process and approve credit card and loan applications. Thorburn also said that NAB’s new mobile banking platform is “market leading”. Last month the bank announced the roll out of its new mobile app, with NAB saying it would progressively release new out features ahead of a full launch. During the results briefing Thorburn did not address a series of system outages that struck the bank earlier this month. The bank has said it will conduct a “thorough review” to “identify and prevent future disruptions” after problems affecting ATM and EFTPOS transactions, Internet banking and payment processing. 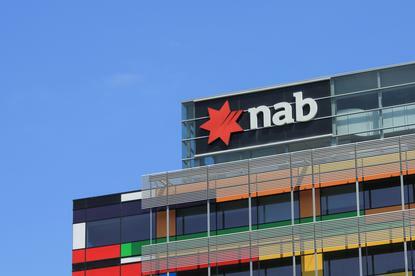 NAB reported cash earnings of $6.48 billion for the year, up 4 per cent. Statutory net profit was $352 million, down 94.4 per cent, reflecting the loss on sale for CYBG (owner of Clydesdale Bank and Yorkshire Bank) and 80 per cent of NAB Wealth’s life insurance business. In FY16 the bank registered growth of $312 million in capitalised software assets to $2.34 billion. Operating expenses relating to computer equipment and software dropped from $632 million in FY15 to $621 million. Data communication and processing charges grew from $86 million to $89 million.